No doubt blogging is the best way to earn money online in this digital era of online business while sitting at one place. Lots of bloggers are earning huge. Question is; 'how much are bloggers making money?' Yes, blogging gives money but let me tell you it is not that easy. Success is really hard to come by & for the bloggers. No one can be a star overnight in blogging. Those who seem to be successful now could have also faced frustration at least once in their blogging career at some stage. Not only with bloggers, but it happens to everyone. It is a part of the journey & everyone has to admit it. The one who later realize that it was not the end. There is one thing that can help you to get out of this so-called, frustration, hassle, difficulty, and that is "MOTIVATION". Yes, motivation is the best medicine to overcome this state of uncertainty. Motivation is needed when the success doesn't come out as expected and we try to give excuses after few attempts. It happens with everyone who tries to do something in their life. Motivation is needed to stick there till the end, till it doesn't come out. And today, I am here sharing the best things that keep me motivated for blogging. Have a look and don't forget to share your thoughts via the comment section shown below. Staying motivated when blogging isn't easy: At some point, the frustration happens to every new and professional. That seems to happen more with bloggers because there is a huge load or traffic in this field. It's an online era & most of the individuals are trying to be successful online. Really blogging is not for those who want to achieve success overnight. It's all about hard work and consistency. So it will be merely a fantasy to expect a load of traffic to your blog just by publishing only a single post every month. Every work starts with the inspiration. It's the inspiration that pushes to do whether it is a job or business or anything else. Most people choose to do what inspires them. It the first step in keeping you motivated towards your goal. Whenever you feel you are off the track, find the things that inspire you, see motivational videos or movies, read motivational quotes or stories. You can also get the motivation from your favorite person who is successful. There are lots of ways to get the inspiration. You just need to choose your kick way. It will definitely help to regain the momentum & get you back on the track. This is necessary to keep yourself inspiring till the end. Doing things that you are passionate about, often doesn't derail. If you are passionate about blogging you won't even think to quit even when you find yourself struggling and I think that's the best benefit of doing passionate things. Build a blog you are passionate about or don't even care about it. Before blogging ask yourself, "Are you blogging as your passion?" If you have a goal in front and made up your mind that whatever difficulties will come to you or how much time it will take, you are not gonna get distracted and never quit blogging. Doing this won't trouble or disappoint you that much, as just like, you have accepted it even before starting or you know that this is gonna happen. You will feel like you were prepared for it. Every one knows blogging takes time to be successful and it should, because in my sense the overnight success doesn't really last long. A friend is always there to help you. Maybe he is the first person to encourage you in all your downs. So instead of going alone, it's better to make friends in a blogging community as they can bring you with new ideas and hopes. You can learn a lot from other friend bloggers. Make friendship with like-minded bloggers or successful bloggers, get connected with them. They will be always there to support and encourage you. It is a slow process though but still start making friends. In case you already have friends in the community, then don't hesitate to reach out to them. 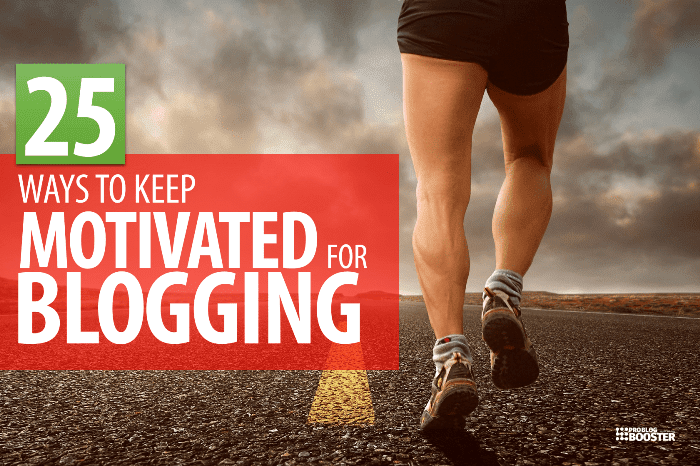 If you have a strong reason to blog there is no chance to get demotivated. A strong reason will always lead to having the continuous efforts needed to be taken to become successful. Everyone has different reasons to blog. You needed to know what is your reason to blog or why do you want to blog. So before you walk in just sit back, clear your mind and think. People used to start doing something with a reason but sometimes they fail to continue the momentum or enthusiasm as they were getting in early days of starting. This is because they forget the reason why they started doing so. Whenever they get reminded by the reason they again get back to that enthusiasm. So to remind yourself with the reason behind your blogging whenever you fill to quit the blogging, reminding the purpose and reason is one of the best tricks to stay motivated. Feel that enthusiasm once again as you were feeling when you first started your blog with a strong reason. Just try to feel that heat again. Well, this is pretty interesting. Believe me, slanders can be a strong reason for your motivation. Find some people who can tease you or who are jealous of you so that you can get reminded of your goal of doing something best in your life whenever you find them in front of you. Slanders act like a spark to get your goal. Don't afraid of them. Always get in front of them to get reminded with what you want to achieve. Seriously, You can do it intentionally. Announce your blogging goals to each and everyone you know, whether it is the family member, friend, colleague etc. Just tell everyone what achievements you will be receiving within next 1 or 2 years. When you do this, the fear of getting down will unknowingly motivate you. Because nobody wants to fail in front of others. Don't think as you are pleasing them. The thoughts of failing publicly create the pressure or eagerness that you have to do it by all means. Each and every successful blogger has faced obstacles to reach their goals. Not just bloggers but many have done all the required hard work to pass their obstacles. You also have to do the same. Look at your idol in blogging. See what they have done to get what they are now. Everyone knows for blogging you have to sit at one place continuously for a long time to search, think, write & post the article. Sitting in one place for a longer period of time makes like put in a prison, both mentally and physically. So it is better to change the environment a bit, so as to get new ideas, new inspiration, to relax your mind. Get outside of your workplace for some time, get in a fresh air, try to release that stress. Listen to music to get motivated at work. Make use of live events to get connected with the leaders. It can help you to get new ideas & updates. You may get an inspiration also. Instead of answering too much as a comment on a question asked by your reader on your blog, you can make your answer as a new post. Lots of newbies start blogging, they do all the required hard work but don't seem to be interested in tracing/ tracking the results. Tracing results is very important to know, how far you are into it. Good results obviously motivate you and bad results tell how much hard work you still have to do. Negative people always used to spot only negative things they don't look at positive things. It's better to avoid those negative people who tell you that blogging is a time-consuming process and it won't give you that much money. These people do it intentionally to demotivate you and to stop you from working. So ignore them. Sometimes some bloggers think that they are not getting the response as much as they wanted. I also agree with this. But don't forget the coin has two sides and the other side is, if you are blogging continuously for a certain period of time then your audience, comments, and such other things have also improved. Maybe you have not reached the level you supposed to be but now you are far more beyond from where you first started the blog. Remember it is very hard to let people comment and share. Replying only just 'thanx' to your reader may give a bad experience to readers. If you want them to like and share your post then you have to maintain a proper conversion with them. So respond to every comment and let them think that you respect their comment. In order to publish a post relevant to your audience, it is important to plan your content in advance and this can be done by using an editorial calendar. Know which topics relate to your target audience. This is beneficial to get ideas for your new post. 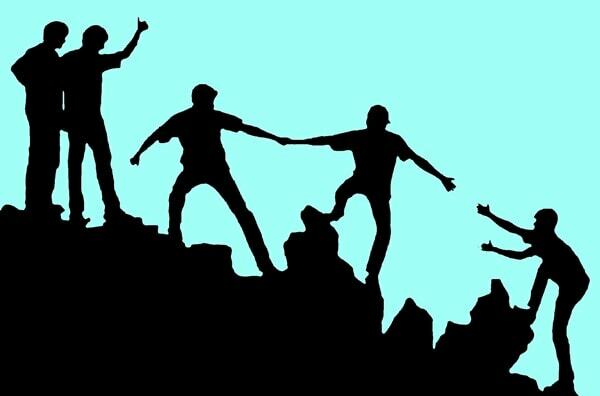 Help others to get helped. As you expect other's assistance to increases your reach, do the same by sharing their content. This gives and take will increase the relation which will help you to get new ideas. Many people begin with a positive intent but till the time of completion of the task, they start thinking about another task. Making and handling many tasks may divide your concentration and you get frustrated due to incompletion of all the tasks. So it's always better to complete one task before beginning another. Make a habit to complete what you start. It feels proud when readers reply with positive comments and appreciate your post. When this happens, it feels worth spending so much time on writing. But a negative comment becomes a reason for demotivation as it feels like the content is not making any impression on your targeted audience. Therefore keep an eye on the comments to find your reason for motivation. No one becomes a perfect on day one. Everyone has to spend some time of the day on self-development to become successful. Think about the things you do that you don't really want to do. Just imagine the worst feeling that you have while doing the uninterested things. The reason to get out of these things can get you to motivation. Find and recall those moments in your life, where you got the first price, you get appreciated, or you got lucky. Such memories are those incidents, feelings which concerns to recall of special memories in motivated self-perception. Have a habit to tell yourself when you get up at every morning, that you are best, and God is always with you. The memories and your beliefs are the best things to push yourself towards archiving your goals. Last but not least, don't forget to follow the site: ProBlogBooster. I am here to help you out there. Anytime, you can send the message or comment below about your issues, I will try to fix it or max to give a solution that will work for you. Keeping thing in mind that the blogging takes the time you should commit yourself to stay there. Say yourself "let's try it another one time" whenever you think to quit blogging. You just need to stay there till the end to keep your scoreboard moving. If you stay there the runs will come quick and fast.